Bake Pillsbury™ French bread according to package directions. Cool and slice in half lengthwise. In a large bowl or stand mixer, beat together cream cheese, onion salt, and half of the cheddar cheese. Spread this mixture on top of the cut-side of both French bread slices. 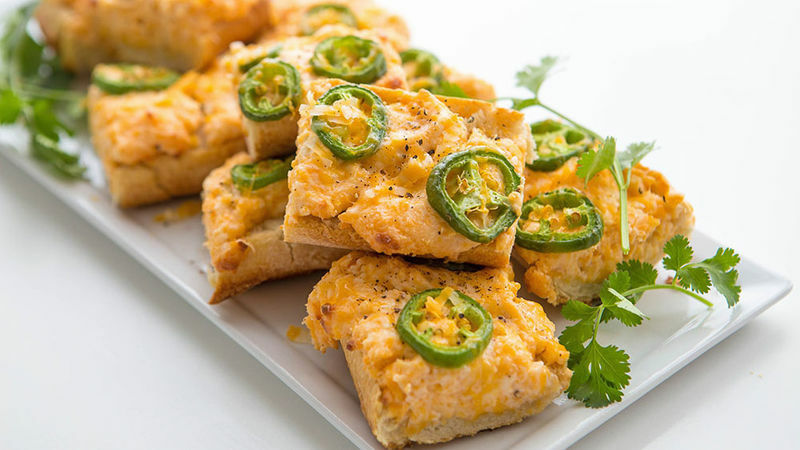 Sprinkle with remaining cheese, top with sliced jalapenos. Bake in an oven preheated to 400°F for 16-21 minutes, or until the cheese bubbles and begins to turn a light golden brown. Allow to cool slightly before slicing into 2 to 3-inch pieces and serving.